I was actually pleased with the Matt Lauer/NBC coverage of the Wakefield/Deer and MMR/Vaccine Issues in A Dose of Controversy. I thought he was fair to Dr. Wakefield, giving him an opportunity to address allegations made against him. The program didn't go after Brian Deer for some of the allegations against him. While the program did give Paul Offit a free run to say what he wanted about vaccines and autism I thought he, of all people involved in the program, looked the most emotional and overwrought. The coverage of vaccine-autism issues was light and glossed over many important issues including the "science disproving vaccine autism causal connections". The show did give Dr. Healy a brief spot to point out what is my main concern with the vaccine autism war - the obvious attempt to stifle scientific inquiry on vaccine autism issues that has been going on expressly since the IOM 2004 Report and the insufficiency of the scientific investigation to date of these issues. I don't know if Dr. Healy's sensible observations will make any impact on important audiences like IACC members but you never know. A major criticism is the continuation of the characterization of parents as desperate, hysterical, dangerous, ignorant and unable to understand the issues or the science. It is a belief genuinely held by figures like Dr. Paul Offit and Dr. Thomas Insel and it is a belief which prevents them from being able to make their case persuasively to parents. These criticisms aside I was pleased that NBC tried to air both sides of the Wakefield/Deer MMR war instead of following recent trends and simply giving a one sided account based totally on the medical establishment position. The following videos show some of the hard realities, some of the challenges facing those who are most severely affected by autism and the family members who love and care for them. The autism reality of the young man in the first video is not the autism reality of someone who will excel in a difficult and complex post office work environment or go on to work as a researcher alongside a team of high functioning autism experts. This young man is unlikely to appear before a high appellate court, august political committees, or on national and international television as a self appointed spokesman for all "autistics". and opposing evidence based interventions for other people's autistic children. 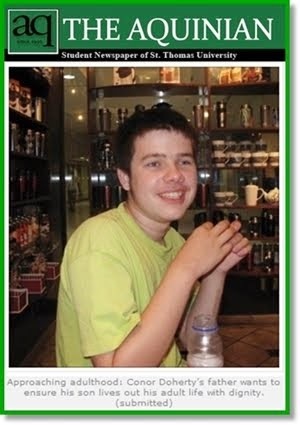 This young man's voice will not be heard by public decision makers deciding whether research, therapies and treatments should be funded to help address the autism realities shown in this video. This young man is unlikely to attend at any college, let alone an esteemed college for gifted youths or appear in scripted, orchestrated videos promoting a nonsensical theory of stimming as language. 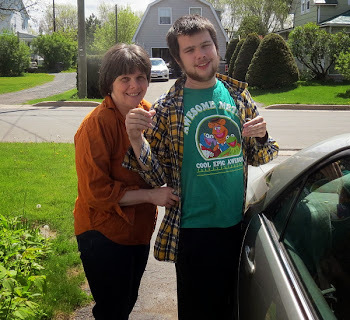 This young man's autism realities are unlikely to be gushed over enthusiastically by bloggers celebrating the joy of autism or promoting autism as anything except what it is ... a neurological disorder with profound negative consequences for so many affected by its reach. Rare educational footage of autistic person with a complex mix of seizure disorder and self injurious behaviors. Point: to show how to help children suffering from such a brutal and complex behavioral disorder. Not for people who can't handle REALITY. Or who don't understand this situation. The temperature is starting to cool a bit and turn toward early autumn after an unusual summer. With the cooler morning air Conor put on a Dad shirt over his shirt for some extra warmth. And we headed out on the trail this afternoon for a nice walk. My shirt seems to fit Conor a bit better around the belly than it does me. Hmmmm. "Across the UK the number of new cases of swine-flu are falling. Department of Health figures show that in the past week there were 5,000 infections in England - compared to over 100,000 at the start of the month." Is this what the WHO and the CDC mean by a pandemic? I am not trying to be glib about swine flu, or any influenza. I understand that the flu, swine, avian, or whatever variety of flu I contracted many times over the course of my life in Canada, can kill some people. Flu complications may bring my brief visit to this planet to an end some day but I have difficulty seeing why people around the world have been whipped into a panic over this specific flu, billions of dollars invested, testing of the safety and efficacy of vaccines rushed ... and possibly compromised ... based on available rate of infection and death information to date. And their previous track record at pandemic prediction ... the 1976 swine flu "pandemic" for example ... is not that great. Every death is a tragedy for that person and those that know and love them. But the figures above, for an estimated population of 33,760,560 according to Statistics Canada's daily estimate, and like the UK information from the BBC above, are not what I think of when I think of a pandemic. The flu does kill significant numbers of people every year. In New Brunswick where I live we have been exposed to the Swine Flu already. A number of cadets visiting nearby Base Gagetown this summer contracted Swine Flu. They all survived. And New Brunswick has not, to date, recorded a single death, (yes, thankfully), but this humble, ignorant, non medical person has a hard time seeing the information to date as justifying the panic, the billions of dollars spent around the planet on vaccines, and their rush into production, with possible compromises to the safety and efficacy of the vaccines. But what do I know. I am just a humble parent. And they are intelligent, well informed public health authorities who know better. If the WHO, the CDC and the Public Health Agency of Canada say there is a Swine Flu pandemic then I guess there must be a Swine Flu pandemic. Is Swine Flu Panic Petering Out at the CDC? WASHINGTON — Government health officials are urging people not to panic over estimates of 90,000 people dying from swine flu this fall. "Everything we've seen in the U.S. and everything we've seen around the world suggests we won't see that kind of number if the virus doesn't change," Dr. Thomas Frieden, head of the Centers for Disease Control and Prevention, said in a C-SPAN interview taped Wednesday. While the swine flu seems quite easy to catch, it so far hasn't been more deadly than the flu strains seen every fall and winter — many people have only mild illness. And close genetic tracking of the new virus as it circled the globe over the last five months so far has shown no sign that it's mutating to become more virulent. What is likely: A busy flu season that starts earlier than usual.."
Governments have invested billions of dollars and lifetimes of credibility promoting the speculation that the world would be hit by a pandemic. In the US swine flu vaccine manufacturers have been given immunity from suit. It now remains to be seen whether pregnant women will be given vaccines with thimerosal and adjuvants. It remains to be seen whether the vaccine program will be rolled out in full force in most countries. It remains to be seen whether a possible autism baby boom will be created by a panic driven vaccination program. The figure above represents the sum total of Michelle Dawson's ABA experience and expertise. Despite her voluminous writings (mis-characterizations) of ABA she has not, to my knowledge , indicated that she has any actual experience or expertise with ABA. Given her lack of actual involvement with ABA has her years long crusade against ABA intervention for autistic children been done in good faith? Is it ethical for her to appear in legal, political and media forums in an effort to keep OTHER PEOPLE's autistic children from receiving the benefit of ABA? Ms Dawson brought a human rights complaint against Canada Post where she was employed as a letter carrier. Her complaint was based on Canada Post's failure to accommodate her disability as a person with an autism disorder. Some of her allegations against Canada Post were dismissed but she was successful in arguing that some Canada Post management employees had harassed her. In making that complaint Michelle Dawson, who the evidence showed was a very good letter carrier, and who has demonstrated considerable intelligence in fashioning a career as a researcher, still considered her autism disorder to be a disability that required accommodation. The record shows that the second letter refers to Ms. Dawson self-inflicted wounds. In his letter, Dr. M. restates that Ms. Dawson is autistic and refers to the fact that Ms. Dawson’s psychological equilibrium is maintained through acts of self-injury performed at home, that it is a way for her to cope psychologically with intense emotional reactions and should not be seen as an expression of anger. Dr. M. testified that Ms. Dawson had told him that the injury that she self-inflicted helped her psychologically. For Dr. M., Ms. Dawson had the habit of self-injuring. Dr. M. interpreted these acts of self-injury as a sign of major psychological suffering, a way for autistic individuals to cope with anxiety. He stated in his testimony that he personally saw one of the wounds that Ms. Dawson had inflicted upon herself and stated that the wound was impressive, and would have been impressive for her coworkers. In the case Ms Dawson also gave considerable evidence about how best to communicate with autistic persons, not just her as an autistic persons, but autistic persons generally. No authorities, studies, Random controlled trials or any other "science" are cited in support of her opinions. Michelle Dawson has first hand knowledge of the serious self injury that some autistic persons inflict on themselves. Reducing self injurious behavior, not conforming to an abstract social norm, but reducing self injurious behavior, is one of the well documented results that people who actually work with ABA and autistic children have achieved ... the self injurious behavior which is directly linked to autism as Dr. "M" testified. In my view it is bad faith, and it is unethical, for Michelle Dawson to oppose efforts to reduce self injurious behavior in autistic children via ABA. For a period of at least 9 years she was obviously not successful at eliminating her own serious self injury. And yet she has opposed ABA interventions for other people's autistic children even though it has been used by professionals and parents to help autistic children reduce such self injurious behavior. She does so despite a complete lack of expertise and experience with ABA and despite having no other solution to offer parents trying desperately to help their children. ".... the results of our meta-analysis supports the implication that early intensive behavioral intervention (EIBI) should be the intervention of choice for young children with autism." The recent meta-analysis by Eldevik and others must be very disheartening to anti-ABA crusaders in their efforts to disparage ABA intervention for children with autism. Parents seeking to actually help their autistic children though can take heart that yet another study supports their struggle to obtain ABA intervention for their children. Hopefully public decision makers will be guided by this and previous studies and reviews in determining how best to help autistic children. "That analysis had a number of serious limitations, however. First, only 4 studies were included, so the full range of evidence for EIBI was not reviewed. Second, it was not clear from the report how EIBI was defined, so the studies may not reflect genuine EIBI as it is understood in our field. Third, and perhaps most problematic, the authors (Australian physical therapists) seemed to misunderstand how genuine EIBI is delivered, and what a study by Sallows and Graupner (2005) showed. In that study, one group of children with autism received EIBI directed by professional behavior analysts, and the other group received EIBI managed by their parents, who received training and frequent consultation from the behavior analysts. Both groups had comparably large gains on several measures after 4 years of EIBI. Spreckley and Boyd (2009) incorrectly characterized the parent-managed EIBI as “standard care,” i.e., non-ABA intervention. Because there were few differences between the groups after treatment, those authors concluded that EIBI was no more effective than what they erroneously treated as “standard care.”"
The misunderstanding of how EIBI and ABA are actually delivered is an impression that seems to permeate much of the online criticisms of ABA, particularly those by people who have absolutely no experience with ABA. Eldevik, Jahr, Eikeseth and Cross have performed a valuable service by helping to replace anti-ABA ideology with still more demonstrated evidence of ABA effectiveness. Swine Flu: Pandemic or Panic? Will We See An Autism Baby Boom? Influenza kills people every year. To date the numbers of deaths from the Swine Flu, H1N1, virus have not been reported as being exceptionally outside the norm. The fear, as I understood official reports, was that a second wave of Swine Flu was coming, one in which the virus will have mutated and become far more deadly. So far at least, according to a new realease from the CDC that hasn't happened, the Swine Flu virus has not mutated as it makes its way through the southern hemisphere. "The H1N1 flu strain doesn't appear to be mutating as it makes its way through the Southern Hemisphere, the U.S. Centers for Disease Control and Prevention said today in a briefing. One of the biggest fears has been that the virus, which first appeared in April in the U.S. and Mexico and which people don't have any built-up immunity to, might mutate into an even more dangerous form. Health officials have been keeping a close watch on the Southern Hemisphere, which is in its winter season now, to see what form of the virus is likely to travel north as fall comes to the U.S. and the rest of the Northern Hemisphere. Flu viruses are unpredictable, so the fact that this one hasn't mutated is "somewhat reassuring" said Jay Butler, director of CDC's H1N1 Vaccine Task Force." The failure of the Swine Flu to mutate .. to date .. will not stop the roll out of the massive Swine Flu vaccine buys by most western nations. The health authorities have invested much of their credibility in predicting a swine flu pandemic which does not yet appear to have materialized. Massive amounts of public monies have been invested. The vaccines will be given. With young children and pregnant women near the top of the priority list for receipt of swine flu vaccines, and with the vaccines still containing thimerosal and adjuvants we will experience an unplanned observational study of whether vaccines are causally related to autism. The IACC pulled an observational study of vaccinated and unvaccinated populations off the table in January and IACC head Dr. Thomas Insel spent much of his credibility in opposing the need or the ethics of such a study. Despite the comments of medical and health professionals like Dr. Bernadine Healy, Dr. Julie Gerberding and Neurologist, professor and successful parental autism vaccine litigant Dr. Jon Poling, and despite the direct observations and cries of thousands of parents the IACC will NOT do a study which might confirm a vaccine autism connection. The Swine Flu vaccination program targeting young children and pregnant women might in fact save many lives as the health authorities continue to maintain. The same program might, unfortunately, provide evidence of a vaccine autism connection. 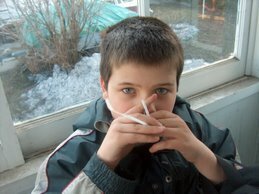 If another upswing in autism diagnoses occurs in 2011-13 remember the Swine Flu Vaccine program of 2009-10. Severe autism awareness is the focus of a new photography oriented autism site called Interaction in Mind. 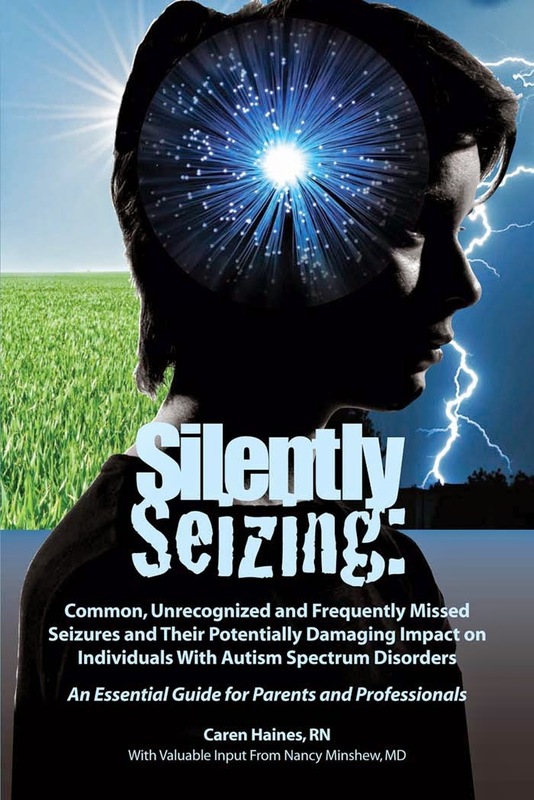 I have written often about the lack of attention paid to those on the severe end of the autism spectrum, the invisible autistic persons whose autism challenges do not permit them to create orchestrated videos about stimming as a language or to appear before courts and political forums seeking to prevent autistic children from receiving ABA treatment. Unbeknown to the mainstream media (with the exception of the Vancouver Sun as shown in its excellent series Faces of Autism) there are severely autistic children and adults who can not communicate with or without any assisted technology device. There really are autistic adults living in institutional residential care for the rest of their lives. I have visited institutional facilities and seen autistic adults in care. The mainstream media, by and large, has not. Even in research the focus is almost entirely on High Functioning Autism. Some prominent "autism experts" like Dr. Laurent Mottron routinely publish 2-3 papers a year on autism studies ... involving High Functioning Autism participants. Far fewer papers are published which focus on studies of persons who are more severely affected by autism, persons with Low Functioning Autism. Blog sites are little better and often times worse. 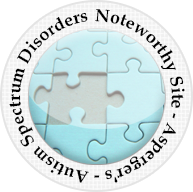 Almost daily the Autism Hub bloggers, persons with High Functioning Autism or Aspergers, family members and even professionals exhort parents and bloggers to speak "Posautively", or positively, about autism spectrum disorders. One enterprising autism parent blogger even organized a Twitter day dedicated to tweeting about the positive aspects of autism. Another well known Canadian blogger likes to gush about the joy of autism while criticizing parents of severely autistic children who seek to treat or cure their autistic children. What all of these efforts do is seek to whitewash the realities of autism. What they do is create a sub-class of invisible autistics whose autism challenges can not be mentioned honestly without being accused of creating negative stereotypes of autism. There are signs though that a more realistic, less ideological approach to discussing autism disorders is beginning to develop. Jonathan Mitchell, autism's gadfly, Jake Crosby at Age of Autism and Stephanie Lynn Keil are all persons with autism spectrum disorders who refuse to glorify autism disorders, who try to write honestly about autism and the restrictions it can impose on the lives of those affected. Interaction in Mind, a photography oriented web site created with the express aim of raising awareness about severe autism, is a promising new development. I am not sure how the site creator will raise severe autism awareness with a photography oriented site. 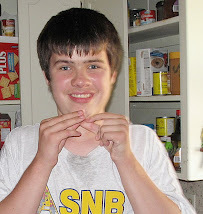 As a father of a severely autistic son I post many pictures of my son at his best, enjoying life. I have posted some pictures of my son's hands showing self inflicted bite marks or pictures of broken windows. But for the most part my photographic efforts have presented the joy I find in Conor each day. It is difficult to take pictures at some of the more challenging moments when matters require complete attention or even to post the pictures of some of the results which can remain afterward. The idea of raising awareness of severe autism at Interaction in Mind is excellent. The challenge for a photography oriented site will be to include some of the negative realities that characterize severe or Low Functioning Autism in a world where people would rather see "feel good" representations of reality instead of harsher truths. It will not be easy but it is a step forward just to see a web site dedicated to raising awareness of severe autism. I wish every success for this very worthwhile and promising project. The performance by Dr. Thomas Insel before US Senator Harkin's Senate committee recently did nothing to end the vaccine-autism war. The head of the IACC took absolute, black and white positions on the key issues which mark the vaccine-autism war. His performance has been critiqued by Katie Wright at Age of Autism. What I found most startling was Dr. Insel's assertion that a comparative study of vaccinated and unvaccinated populations could not be done for ethical reasons. That is obviously true with respect to experimental studies but observational studies of existing unvaccinated and vaccinated populations could be done and autism rates compared. Dr. Bernadine Healy, Dr. Julie Gerberding and Dr. Duane Alexander have all said that such studies could be done. It is time to fund the comparative study and help bring the vaccine-autism war to an end. The argument is made though that it would be difficult to conduct such a study because of the logistics involved as well as challenges presented by the lack of controls present in such a study. Personally I don't believe that such a study would actually be that difficult. It is essentially a survey method not substantially different than the epidemiological studies involving completely vaccinated populations relied upon by Dr Insel and others in their at times emotional assertions that a vaccine autism link has been disproved. Even if it would be difficult to conduct an observational study comparing autism rates amongst existing vaccinated and unvaccinated populations ... so what? Dr. Paul Offit and the mainstream media have been involved in an unrelenting campaign to end the vaccine autism war, by marginalizing, browbeating and intimidating concerned parents into vaccinating their children. The bullying method has not worked. There is still suspicion, given the anecdotal evidence, which is still evidence whether any one wishes to admit it or not, of many parents who testify that their children regressed into autism after being vaccinated. To say that such anecdotal evidence does not prove causation is fine but observational, anecdotal evidence is still evidence even if it is not conclusive evidence. The real issue is that public health authorities have not proved to the satisfaction of concerned parents that the numbers of children showing regression into autism after vaccinations is in fact just a coincidence. Many concerned parents, and some reputable health care professionals have called for the observational studies comparing autism rates between unvaccinated and vaccinated populations to be done. If Dr. Insel and the IACC do not fund an observational, comparative study of unvaccinated and vaccinated populations they will fail to persuade those who do not subscribe to their religious like faith in the safety of vaccines. Their continued opposition to conducting such a study will itself create more suspicion around the possible role of vaccines in causing autism disorders. If Dr. Insel and the IACC do not fund such a study they will fail to persuade the very people they are seeking to persuade. It is time to study, without pharmaceutical industry ties, the autism rates amongst existing vaccinated and unvaccinated populations. If this is not done there will be no end to the vaccine-autism war and Dr. Insel and others on the IACC can accept their fair share of blame for that result ... for the continued reluctance of some parents to vaccinate their children. Autism Prevalence - Why Wasn't the Research Done? 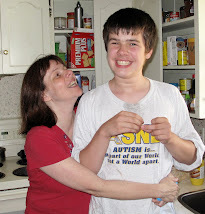 My son Conor was born in 1996 and received an autism diagnosis in 1998. Since 1996 the estimated prevalence of autism has increased dramatically from 1 in 500 to 1 in 150. A recent study suggests the figure may now be 1 in 100. The UK estimate is currently 1 in 100 with a recent study suggesting a figure of 1 in 58. In the 13 years from 1996 to 2009 though despite this incredible increase in numbers of children diagnosed with autism spectrum disorders there are many who deny the increase is real. From 1996 to 2009 those who deny the existence of a real increase in autism have used the same speculation to deny the existence of a real increase in autism. They often conclude their denial of a real autism increase with the refrain that more research needs to be done. So why wasn't the research done? Have public health authorities and researchers not been taking autism disorders seriously? Do they not understand the realities facing children born with autism spectrum disorders, and their families? It is just academic curiosity or the availability of research grants that motivate the necessary research? The prevalence of autism, which was apparently rising from 1979 to 1992, reached a plateau from 1992 to 1996 at a rate of some 2.6 per 1000 live births. This levelling off, together with the reducing age at diagnosis, suggests that the earlier recorded rise in prevalence was not a real increase but was likely due to factors such as increased recognition, a greater willingness on the part of educationalists and families to accept the diagnostic label, and better recording systems. The proportion of parents attributing their child’s autism to MMR appears to have increased since August 1997. Despite three recent studies showing that the number of diagnoses of autism spectrum disorders has almost doubled in the last seven years to around 1% of children, researchers say that it is still impossible to say whether the rise is due to a genuine increase in the number of new cases or to other factors. How Common is Autism? Doctors once thought autism was rare. But newer studies show it seems to be getting more common. It's hard to say why. This may be just because the newer studies have been better at finding children with autism. Or it may be because the way doctors define autism has got wider. We need more research before we can say for sure what's causing the increase in autism. "In summary, the incidence of autism rose 7- to 8-fold in California from the early 1990s through the present. Quantitative analysis of the changes in diagnostic criteria, the inclusion of milder cases, and an earlier age at diagnosis during this period suggests that these factors probably contribute2.2-, 1.56-, and 1.24-fold increases in autism, respectively,and hence cannot fully explain the magnitude of the rise in autism. Differential migration also likely played a minor role, if any. Wider awareness, greater motivation of parents to seek services as a result of expanding treatment options, and increased funding may each have contributed,but documentation or quantification of these effects is lacking. With no evidence of a leveling off, the possibility of a true increase in incidence deserves serious consideration. One approach to this question would be a rigorous investigation to determine incidence or prevalence in 20- to 30-year olds. If there has been no true increase and no individuals who were cured or outgrew their diagnosis, then the application to adults of criteria equivalent to those being used today in children should find, for each previously identified autism case, 4 to 8 undiagnosed cases. Whatever the final determination with regard to overlooked cases of autism in the past,the current occurrence of autism, a seriously disabling disorder in young children, at rates of greater than 30 per 10,000individuals — and still rising in California—is a major public health and educational concern. In 1999 Teresa Binstock, a Researcher in Developmental and Behavioral Neuroanatomy, pointed out that funding was generally available for genetic based autism research but not for autism research focused on environmental factors. Ms Binstock described the "it's gotta be genetic" paradigm in autism research in her article IGNAZ SEMMELWEISS and AUTISM: when prevailing paradigms resist change. In that article Ms Binstock recounted the historical example of Ignaz Semmelweiss who was vilified by the medical establishment of the day for his observations about hand washing, childbirth and puerperal fever which challenged the medical orthodoxy of the day. His observations could have saved many more lives if they had been accepted by the medical establishment instead he was vilified and ostracized. "In other words, there was a very real cost -- prolonged human suffering, even numerous deaths -- because despite the data collected and shared by Dr. Semmelweiss, medical-research officials of his day were defiantly resistant to change. Similarly, keeping Dr. Semmelweiss's fate in mind, we wonder in regard to autism, how many years will new data be ignored? In how many U.S. medical school research facilities will promising research be steered away from or squelched? What will be required to cause the NIH and NIMH to quit acting like the officials who suppressed Semmelweiss and instead to begin acting like sincere scientists who appreciate new data, even as paradigms must adapt or be replaced. My own hunch is that the NIH and NIMH will not change from within; the senior practitioners of the "it's gotta be genetic" model have too much influence. Just as Semmelweiss and his data were suppressed, so too will the NIH/NIMH autism-research insiders continue to act against the the growing body of new data in autism; the NIH's pro-genetic old-timers will cling to their paradigm and its funding. As a result, change within the NIH and NIMH will have to be initiated from outside those tax-supported corporations. As a goal for 1999 and beyond, I offer that parents and their organizations and foundations increase the pressure brought to bear upon the NIH and the NIMH in regard to how autism-research funds are allocated. The "it's gotta be genetic" model is no longer the only paradigm worthy of funding; and not to fund other models and other data in autism is no longer scientifically valid. The NIH and the NIHM are re- enacting the Ignaz Semmelweiss scenario wherein new data are ignored on behalf of an old-guard and its outmoded paradigm; autism children and their parents deserve far more. The paradigm-shift in autism must occur more rapidly, even within the NIH." The most likely explanation for the failure to conduct autism prevalence research to confirm whether the dramatic increases in autism is real is probably the one offered by Teresa Binstock. The medical establishment is loath to accept change, to consider alternatives which challenge the status quo. An establishment belief that autism disorders are 100% genetic in origin will not result in research to determine whether an increases in autism reflects a real increase or not. The established belief is that autism is genetic and therefore any increase cannot be real since genetics do not change that dramatically that quickly. The failure to fund environmental research is still occurring with genetic autism research receiving at least 10 times as much funding as environmental research. This imbalance permits medical authorities to continue claiming that it is not clear whether there really are more autistic children today then 20 years ago. But much more than confirmation of a real autism increase has been lost. Greater understanding of autism causes, treatments and even possible cures might have been lost. The IACC has begun reluctantly to acknowledge that autism disorders probably involve an interaction of environmental and genetic factors but the performance of Dr. Thomas Insel discussing autism and possible vaccine connections before Senator Harkin's Senate committee was not encouraging. Dr. Insel clearly has a closed mind on these issues. He even stated that studies of unvaccinated populations and vaccinated groups could not be done for ethical reasons even though respected health figures like Dr. Bernadine Healy and Dr. Julie Gerberding have said they could be done using observational comparative studies of existing unvaccinated and vaccinated populations. Valuable time has been lost by the failure to conduct environmentally focused autism research. It is long past time to get serious about autism disorders, to focus on finding all causes of autism disorders, genetic and environmental, and to find treatments and cures. In a few days it will be three full years since I began this autism blog. Things have changed in 3 years and things have remained the same. I have changed ... some. And Conor has changed ... a lot. The autism world for the most part has not changed at all with the same arguments being recycled over and over. The good news ... or bad ... if you are a faithful member of the Autism Hub ... is that I enjoy blogging and plan to continue. 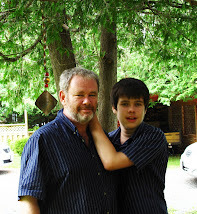 I have written previously of my motivation for starting this blog and will not do so again other than to say that I wanted to express my views about autism a subject of utmost importance to me because my buddy, my son Conor, has Autism Disorder. Today and each day I pledge to continue to fight for a better life for him no matter what obstacles are placed in my path and no matter who places those obstacles there. I do not accept the descriptions of autism offered up on major media publications like CBC and CNN which tend to ignore the harsher life challenges faced by the more severely affected. The CBC, in particular, caters to the views of Michelle Dawson and some other High Functioning Autistic Persons and persons with Aspergers Disorder who do not want to be cured of their autism and therefore feel that no person with autism disorder could really want to be cured. I reject wholeheartedly such attempts to impose their personal feelings on my son. There was some fierce resistance from the education bureaucracy because the commitments arose out of consultations with stakeholders and civil servants could not claim career ownership of the commitments. The CUPE local union representing Teacher Asistants has also opposed the commitment because not all of their members could pass the entrance and graduation requirements for the UNB-CEL Autism Intervention Training program. But, Premier Graham has been honoring those commitments, together with former Education Minister Kelly Lamrock, in the three years since that promise was made. Federally not much has happened to help autistic children in Canada over the past 3 years. 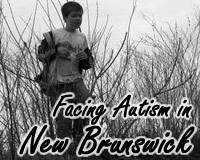 Our Fredericton MP together with Nova Scotia MP Peter Stoffer was able to get a motion passed which essentially recognized the need for a National Autism Strategy for Canada but it did not do much more than that. The much more concrete private members bill from PEI MP Shawn Murphy was defeated by a coalition of the Harper Conservatives and the Bloc Quebecois. It is clear that as long as Stephen Harper, who has never been a big fan of Canada's public health care system, remains Prime Minister there will be no REAL National Autism Strategy which addresses the funding requirements of the provinces struggling to provide autism services across Canada. Only the parties responsible for our national medicare system, the Liberals and NDP, will consider a REAL National Autism Strategy and parents of autistic children would be well advised to elect either one or both to govern if they hope to see a REAL National Autism Strategy put in place to ensure interventions, education and residential care for all of Canada's autisic children and adults in need. Canada has some very prominent autism researchers but they tend to be old guard researchers like Eric Fombonne and Laurent Mottron; interested in pursuing their pet theories about the nature of autism but doing little to actually advance our knowledge of causes and cures for autism. (In fact Mottron has stated that the notion of curing autism is nonsense). 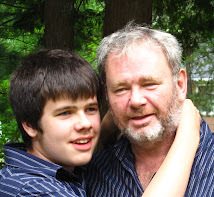 The United States, which has led the way in providing credible, evidence based assessments of autism interventions, also leads in seeking to find causes and cures for autism (Once again, this Canadian autism Dad says God Bless America). 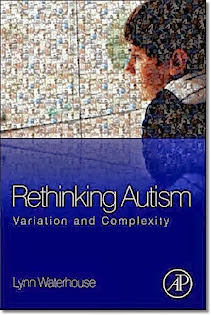 The "it's gotta be genetic" paradigm that Teresa Binstock described in 1999 as the basis for funding decisions for autism research still dominates the studies that are being done and the discussion of autism issues but it is beginning to change with an emerging consensus that autism disorders result from an interaction of genetic, environmental and biological factors. As the authors of the recent California study pointed out though autism research funding still grossly favors genetic over environmental autism research. But at least it is starting to dawn on some at the IACC that they have to start looking at environmental factors. On the controversial issues of vaccines and autism I have changed my mind. While I once accepted without questioning the public health authorities position that there is no vaccine autism connection I am no longer so sure. I have read the comments of people like Dr. Bernadine Healy and Dr. Jon Poling and I am no longer convinced that the science is closed on these issues. As the public health authorities commence a campaign to provide as yet untested Swine Flu vaccines to pregnant women and young children, vaccines containing both thimerosal AND adjuvants that enhance the effects of the thimerosal, I am very mindful of Dr. Healy's caution that the mercury based thimerosal crosses the placenta. I can't help but wonder whether the 2009 Swine Flu panic will give rise to an Autism Baby Boom, yet another dramatic increase in autism diagnoses, in the year 2011 and subsequent. I have enjoyed, for the most part, the people that I have met over the internet by blogging. I am not the easiest person in the world to agree with on a good day and with autism there is always room for intense disagreement on most issues. But I have come to "know" many people that I believe I like even though I disagree with them on many issues. Of course there are others who do not fall into that category but I will say nothing about them. For me personally the biggest change in the last 3 years has been with my buddy Conor. 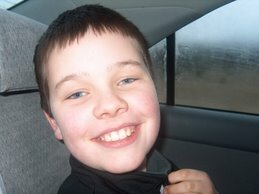 He has grown like a weed, now standing 5' 11" and counting, at the age of 13. Every day living with Conor brings challenges. 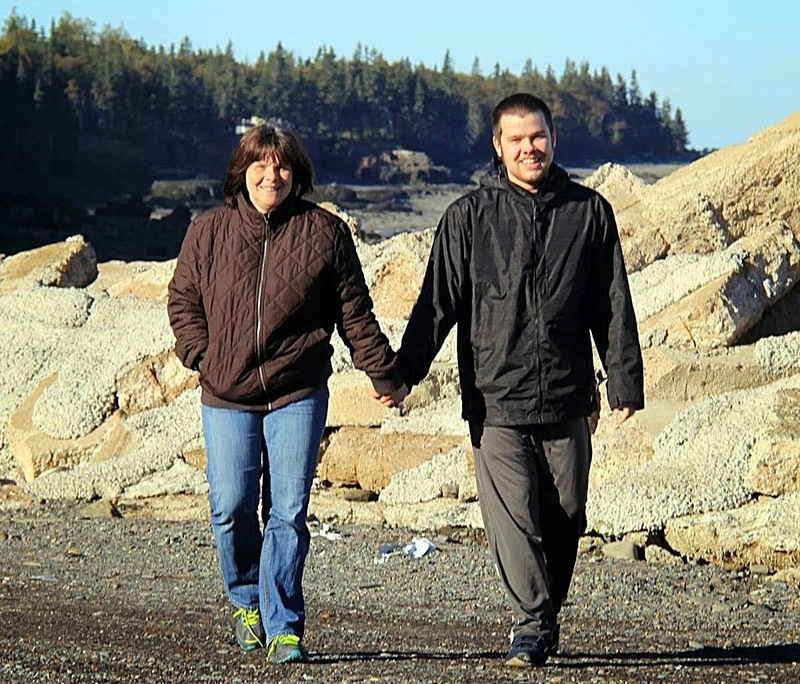 His severe Autistic Disorder is no picnic in the park. But every day without exception has also been a tremendous joy. 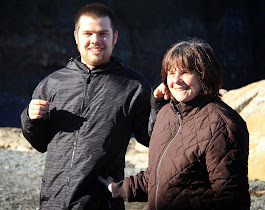 Where I part company from those autism parent bloggers who espouse the joy of autism philosophy is that while I love my son dearly, and enjoy my time with him each day, I refuse to sweep the negative realities of his Autistic Disorder under the carpet. I refuse to praise what is at bottom a neurological disorder that restricts his life opportunities. I refuse to do my son that disservice. I love him far too much to do that. Thank you to everyone who has taken the time to read this blog from time to time even those who disagree with me. I intend to keep on blogging and I hope you visit again. A bridge walk is a good work out for Dad as I struggle to keep up with Conor. Fortunately for Dad, Conor takes time out for fun at the River, climbing and strolling along a small wall and, of course, throwing rocks in the River - the Saint John River. It was a beautiful morning and a great bridge walk. Conor checked out the sights along the way in our beautiful city of Fredericton.